PLEASE NOTE: If Needed-Consultation Fee (non-refundable) $25. Consultations can be done over the phone if you are traveling from out of town/state. You can also email photos to info@creativetouchbeauty.com. During the appointment, we discuss any questions you may have prior to the procedure. Touch Up Deposit Fee (non-refundable) $50. Procedure Deposit Fee (non-refundable) $100. The upper eyeliner procedure will save time from your busy daily routine and that perfect upper eyeliner look anytime, anywhere. This procedure will create an upper eyeliner contour line that is smudge-free, symmetrical, and natural. The Microblading Art Center staff will consult with you to customize the right shade and shape of eyeliner, by using a wide range of high quality hypoallergenic permanent makeup pigments and sterilized needle sizes. The lower eyeliner procedure will save time from your busy daily routine and give you a perfect lower eyeliner look anytime, anywhere. This procedure will create a lower eyeliner contour line that is smudge-free, symmetrical, and natural. 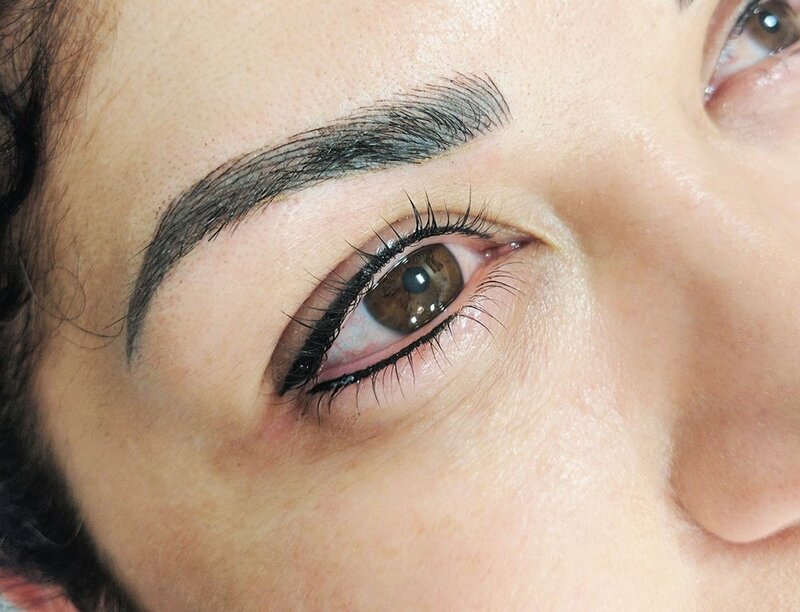 The Microblading Art Center staff will consult with you to customize the right shade and shape of your eyeliner by using a wide range of high quality hypoallergenic permanent makeup pigments and sterilized needle sizes. A second initial procedure (touch up) is required 1-3 months after first initial eyeliner procedure for optimal results.